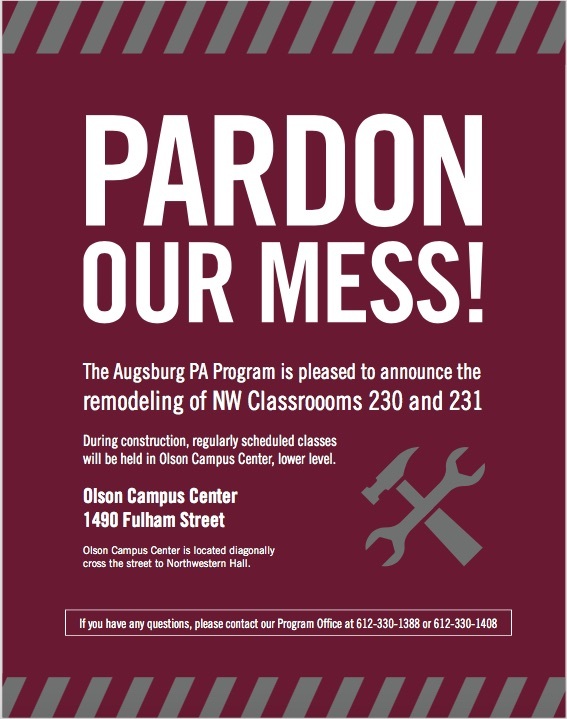 The PA Program is excited to announce that our construction on new classrooms will begin soon! We are going to be holding regularly scheduled classes in Northwestern 230 for the week of February 5th. 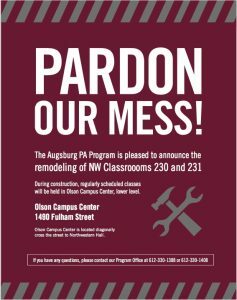 Starting February 12th, all scheduled classes will be held in Olson Campus Center. Please be sure to pay attention to signs so you know where to go!